Share the post "Interview Tips & Tricks: How To Ace The Face-To-Face"
Finding a new job is a process. 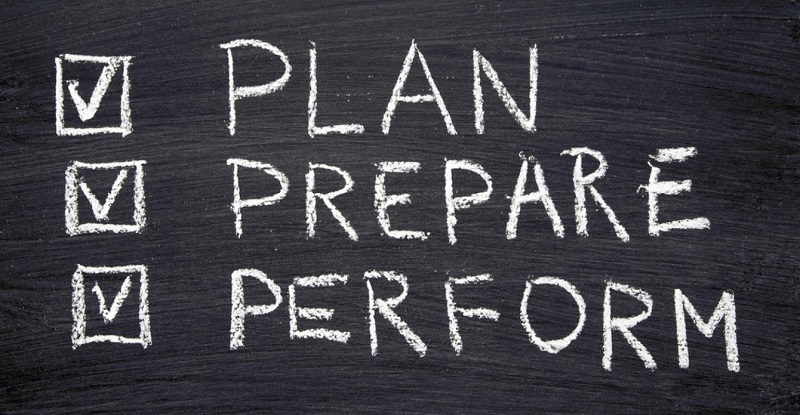 The best results require planning and intentional effort. Prepare to succeed or prepare to fail. Or, as Benjamin Franklin once said: “By failing to prepare, you are preparing to fail.” Would you start building a house without careful planning? Find a location: Perhaps you have already found a company that appeals to you or they have found you. Or, maybe a recruiter has helped you identify a great match for your skill sets and desired company culture. Either way, location finding the right location is key to a successful long term job transition. Start planning: Keeping your resume and LinkedIn profile up to date is always a good idea, but be sure to thoroughly review your professional content (including your cover letters, customized for each position) based on the type of role you’re pursuing. People typically form 90% of their opinions about someone in the first 90 seconds! Some findings indicate that you have even less time to make a first impression. That means you must walk into the room prepared and confident. 2. Learn the job description like it was your own. 3. Practice, and then practice some more. 5. Start planning what to wear. First, be sure to dress for the role you want. Even if you are applying for a role in a relaxed environment, it is important to dress as smart and professionally as possible for that environment. Beware of overdressing, but err on the side of formal. Under-dressing can subconsciously redirect the attention of your interviewer. – Be aware of your attitude. There are many types of questions you should prepare to answer. As a general rule, focus on work related responses and use team language whenever possible. It is important to demonstrate that you are not only antonymous, but a team player. Help the interviewer understand your intention and motives, focus on the future and highlight achievements over experience. 1. What happened to the person who previously did this job? 2. Why did you choose to work here? What keeps you here? 3. What is the first problem the person you hire must attend to? 4. What can you tell me about the individual to whom I would report? 5. What are the company’s five-year projections? 6. What’s our next step? Following up is vital. This is your opportunity to start framing the structure of the role you really want. This also demonstrates a continued interest in the role. Remember, these interview tips and tricks are just the beginning. We’ll share more advice on next steps soon!